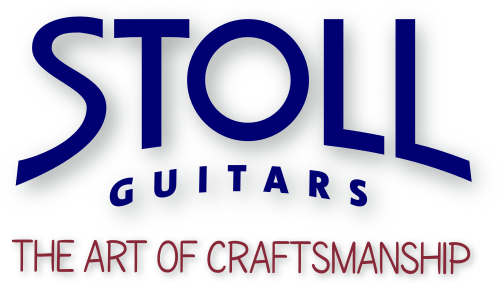 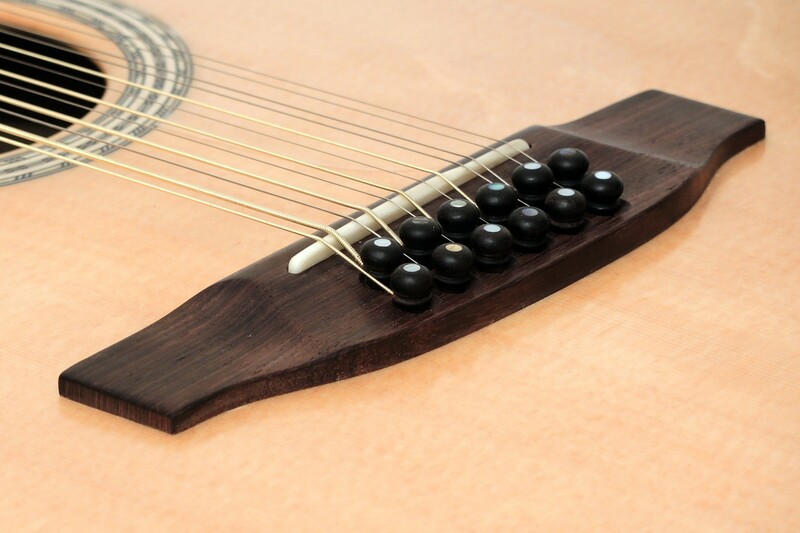 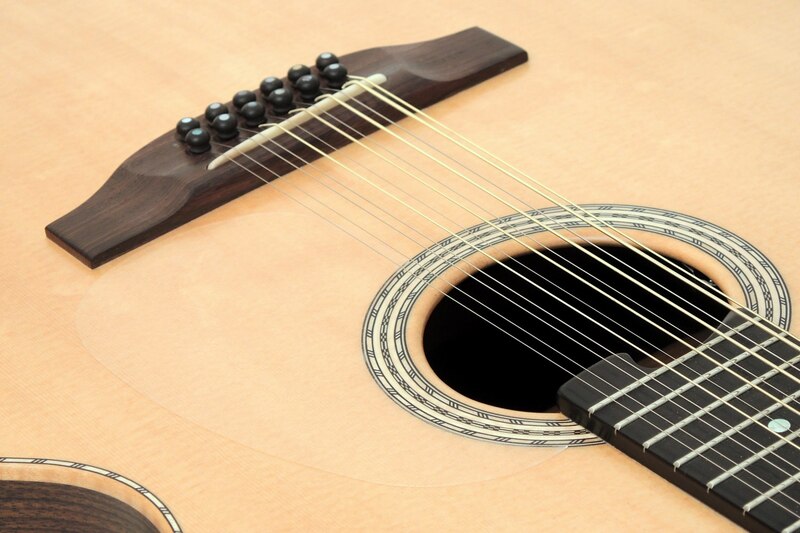 We usually build twelve-string guitars with a neck transition on the 12th fret. 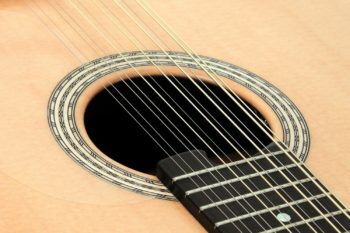 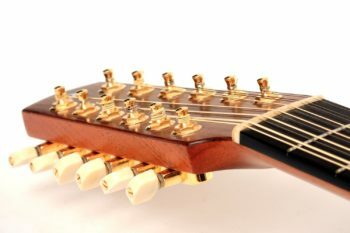 This is partly due to the 12 tuners to avoid top-heaviness, on the other hand, this also serves the sound optimisation, since especially with 12-string guitars the focus is on chorus-like sound. 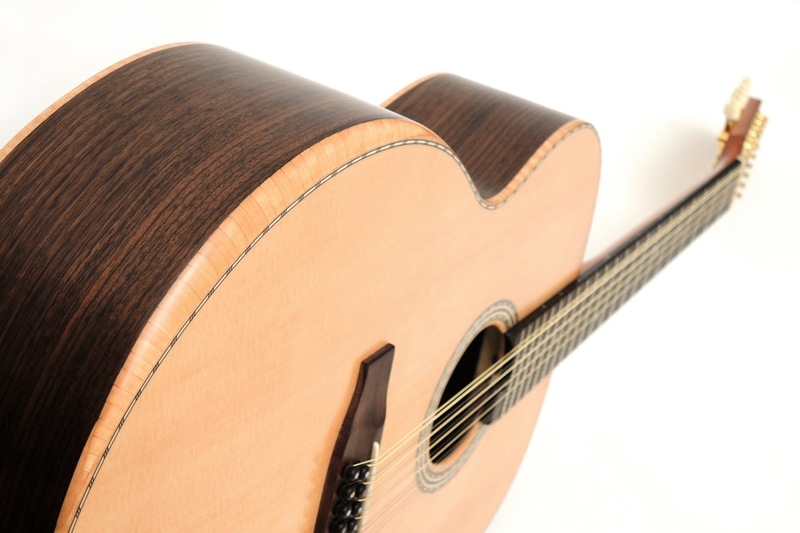 However, our customer wanted a neck transition on the 14th fret, a challenge that we of course accepted. 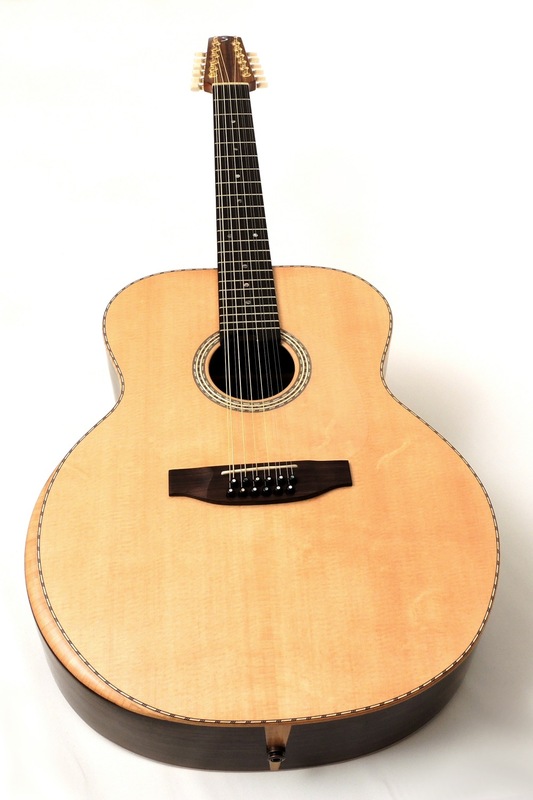 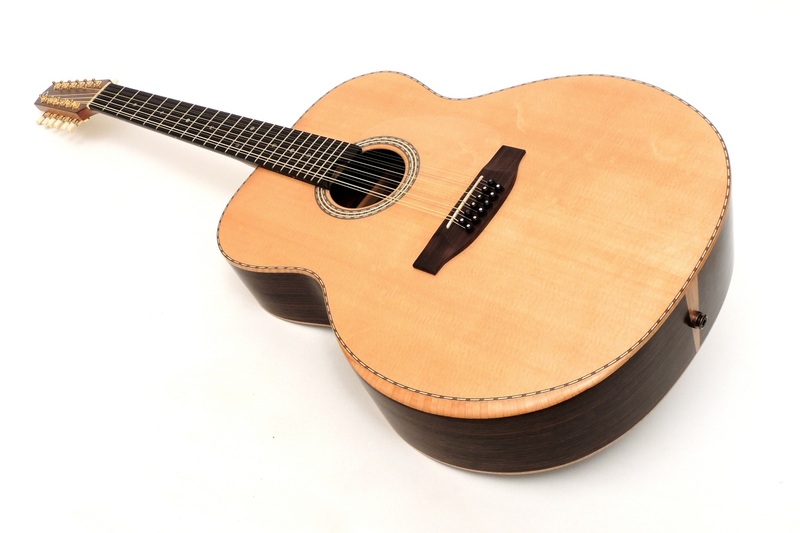 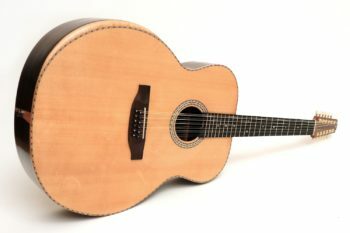 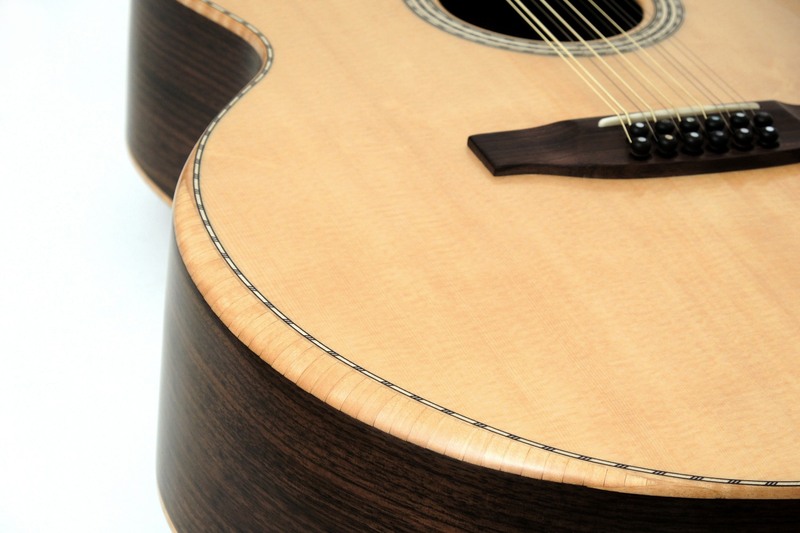 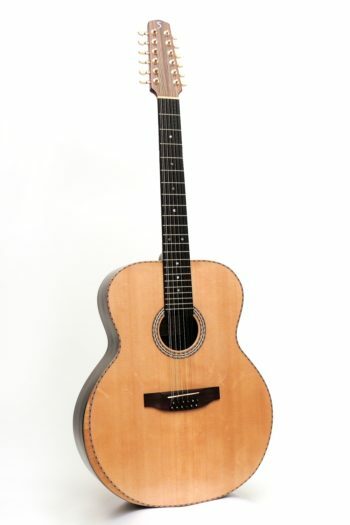 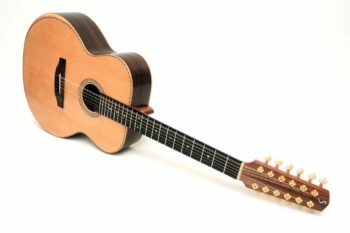 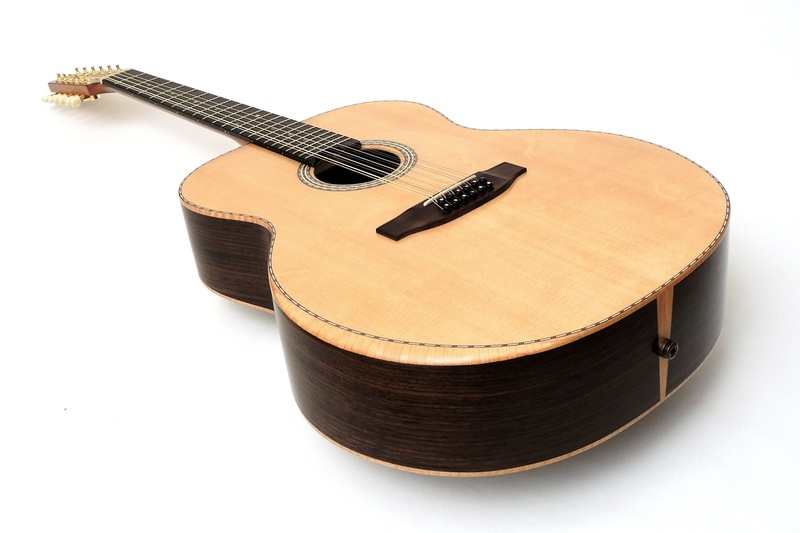 Regarding the woods, this twelve-string jumbo is classically built with Rosewood back and sides and Sitka Spruce top. The armrest, also called Bevel, allows for relaxed playing. 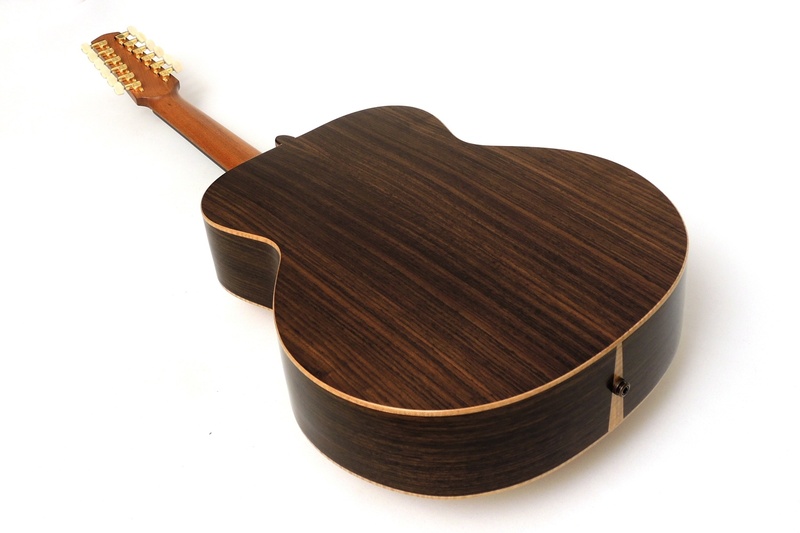 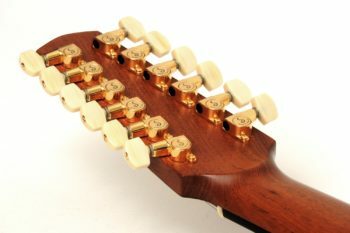 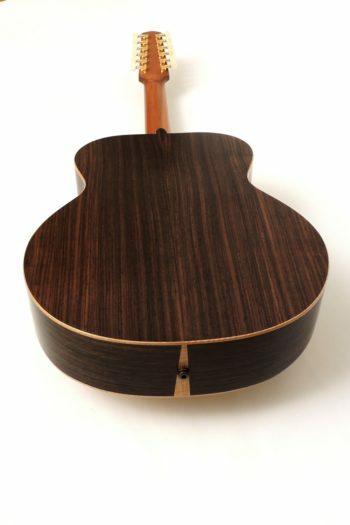 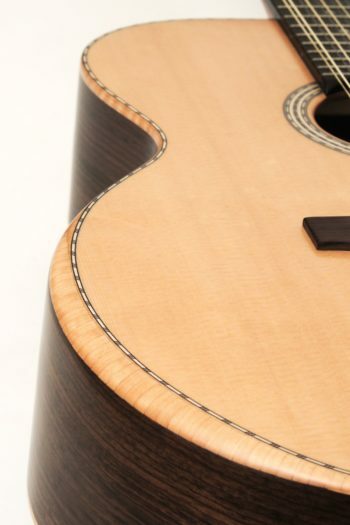 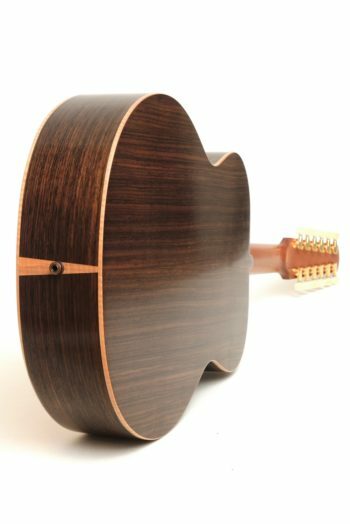 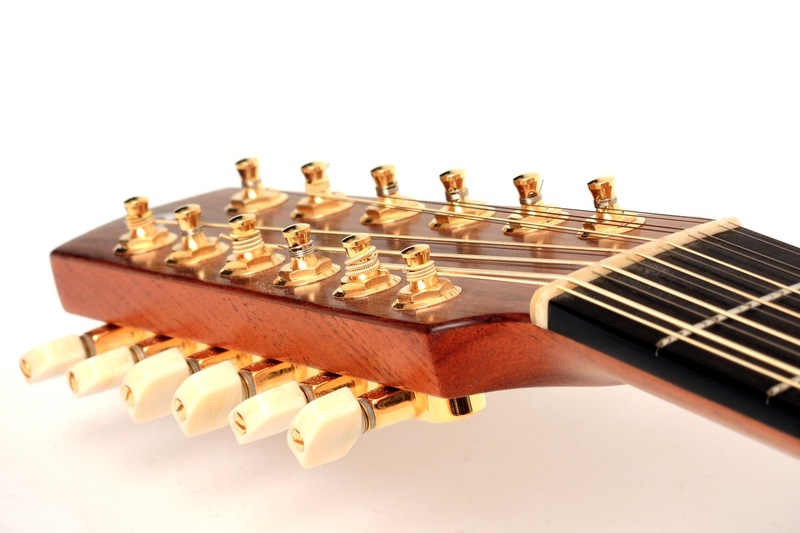 With 12-fret guitars, the bridge position is at the center of the vibrating area of the top. 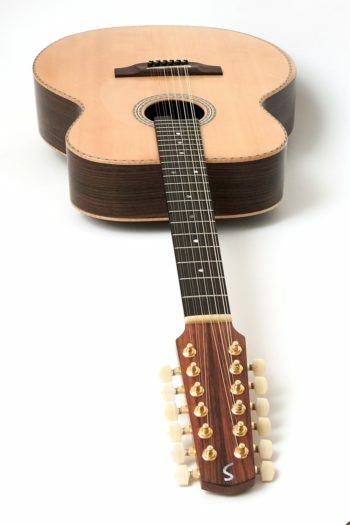 This allows for optimal vibration. 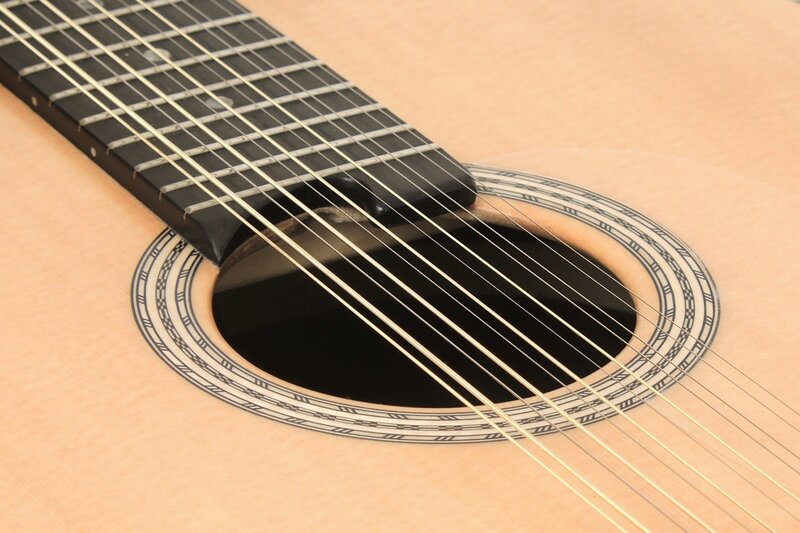 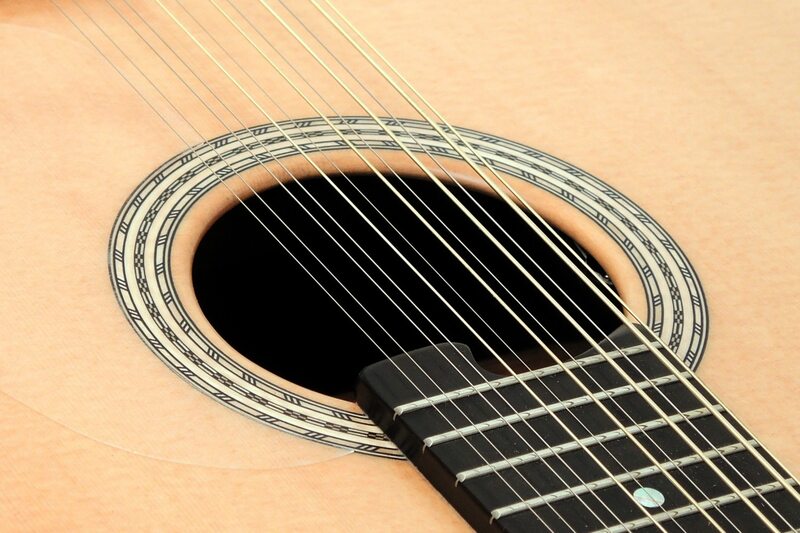 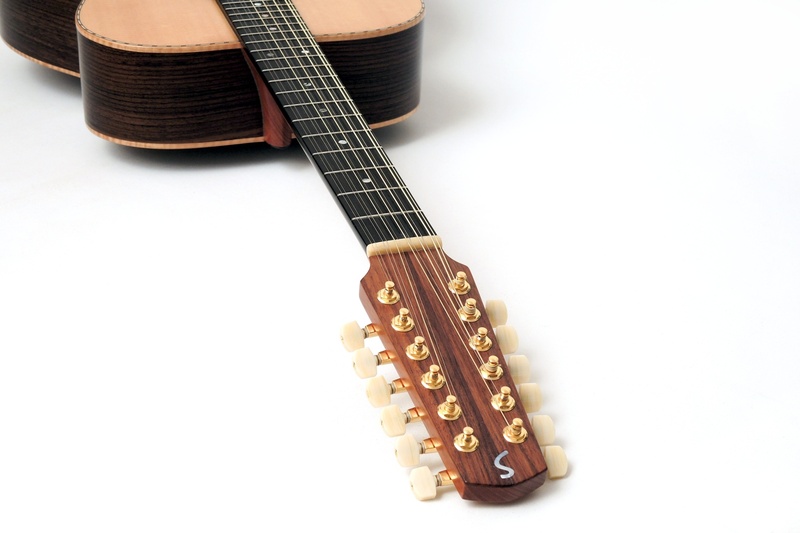 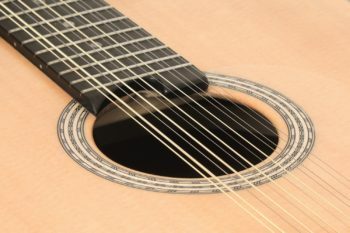 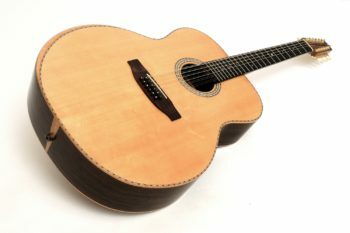  Due to the neck transition on the 14th fret, it became necessary to change the bridge position and thus also to redesign the entire interior construction. 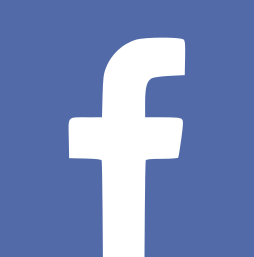 In terms of sound, this results in a more taut and defined sound than the standard model with a slightly shorter phase of vibration. Thus, it is very well suited as an accompaniment instrument or for a short crisp solo.